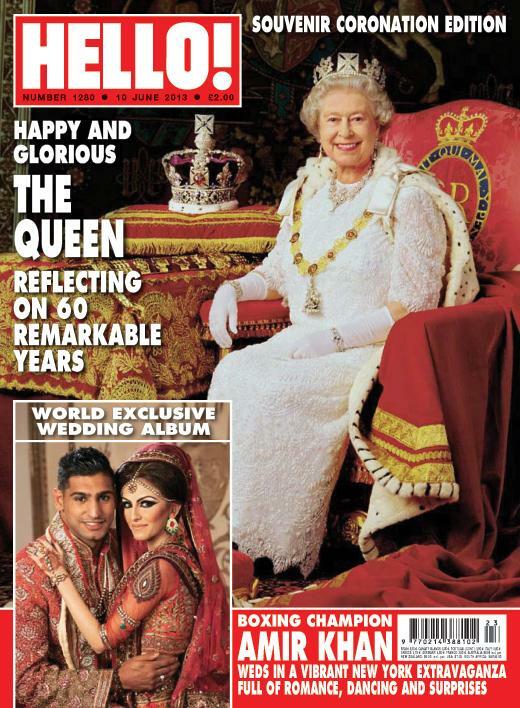 Congratulations to Amir Khan and Faryal Makhdoom on their wedding last weekend! I'm sure I'm not the only one who will be picking up a copy of Hello! Magazine tomorrow to see all the pictures, but in the meantime here's the front cover of the mag which they shared with the Queen! 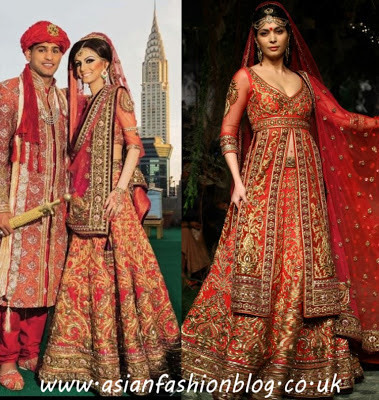 Faryal's outfit was by Tarun Tahiliani and from what I can see in this cover pic she made a good choice! I'm excited to see more from this event and from the Walima which is taking place on Sunday 9th June in Bolton. 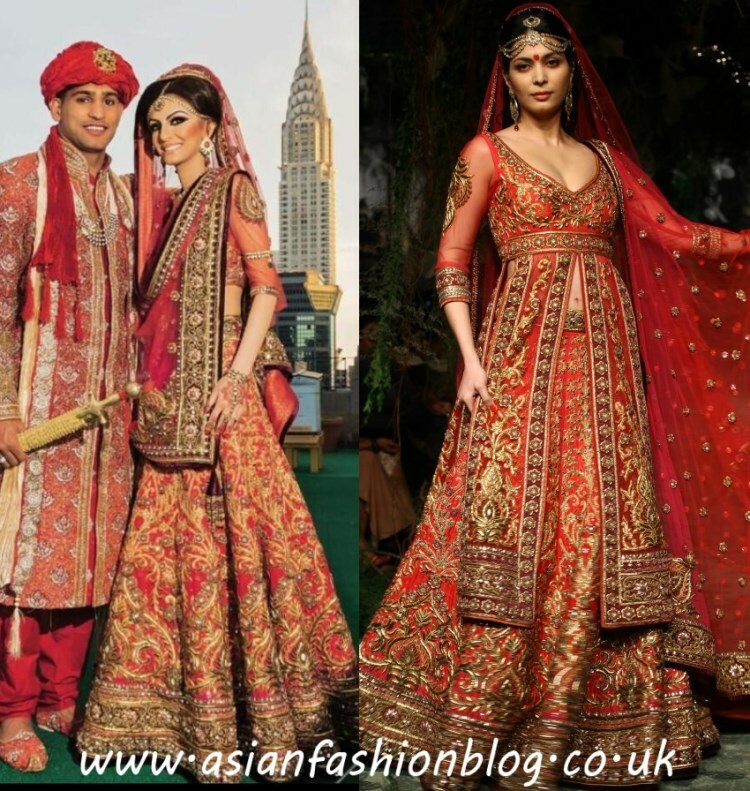 Check out Faryal Makhdhoom's Walima outfit here.